This was a super fun project for the Marquis Wine Cellar, a specialty wine store in Vancouver, BC. They wanted to show off Vancouver's amazing attractions and culture with a twist. So, we had wine be a part of each illustration. From downhill skis in the shape of wine bottles to Inukshuk's holding wine glasses. 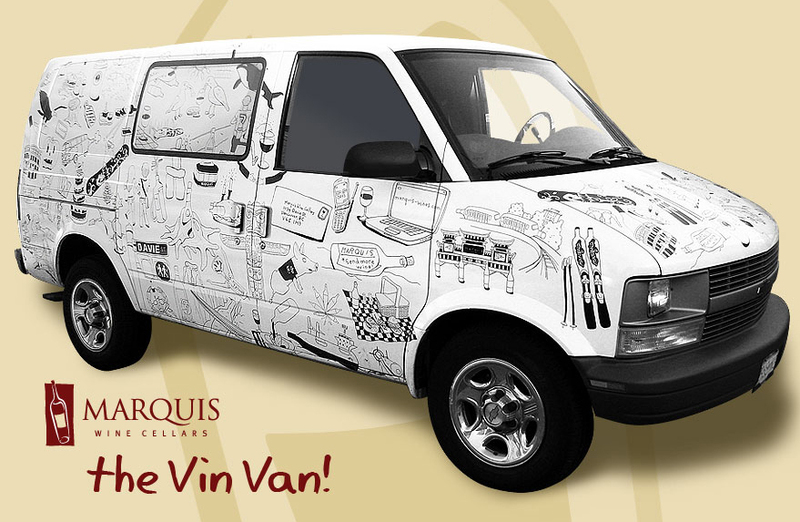 The art featured on the van creates an eye catching 'out-of-home' advertisement for Marquis.